25 years ago today, Margaret Thatcher resigned as prime minister. She bowed to the inevitable after her cabinet finally rebelled against her autocratic rule. I blogged at length about Britain’s first woman prime minister when she died in 2013. I titled that post ‘the woman who changed Britain’ – which she did, for both good and ill. She was a force of nature, unlike almost all of her successors. 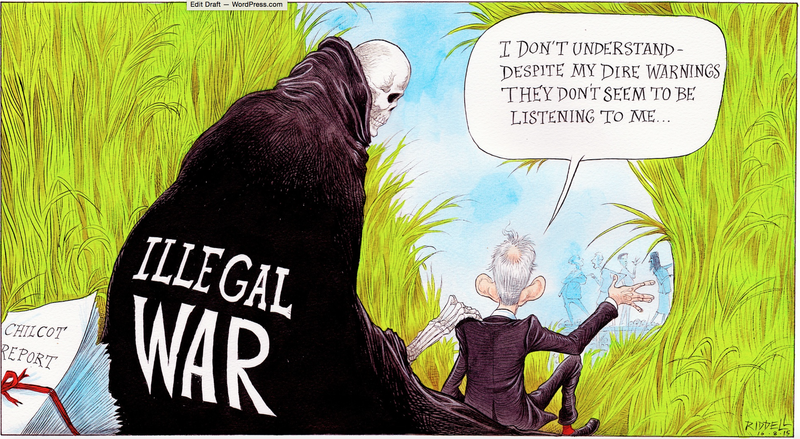 Only Tony Blair came close. The battle for the Labour Party’s soul is raging. The man who led the party to victory in an unprecedented three general elections has issued apocalyptic warnings of the consequences of electing Jeremy Corbyn as leader. Tony Blair says that under Corbyn Labour would be routed, and possibly annihilated. I’m no Corbyn supporter or Labour party member, but I find it breathtaking that Tony Blair or Gordon Brown have the cheek to lecture people on whom to vote for. While they created an election winning machine and made voting Labour fashionable – for which they deserve great praise – their deadly feud threw away the huge opportunity that Labour had to transform Britain after May 1997. Brown was the worst culprit, obsessed by a corrosive sense of betrayal at Blair’s election as Labour leader in 1994. He took every opportunity to undermine Blair, while Blair always shrank away from moving Brown from the Treasury, for fear of the consequences. Yet Labour and Britain paid a heavy price for this tragically dysfunctional government. Newspapers love to think they have influence. Tony Blair grovelled to Rupert Murdoch to win The Sun’s endorsement in the 1997 election, after the paper claimed (wrongly) to have won John Major the 1992 poll. Yet this week’s decision by Murdoch to back two utterly opposing parties north and south of the border reveals the nonsense of such self important, cynical posturing. I take exception to papers telling me how to vote. Democracy suffers through the massive bias in favour of the Tories. I also objected to the Guardian’s campaign against Boris Johnson in the 2008 London mayoral election. 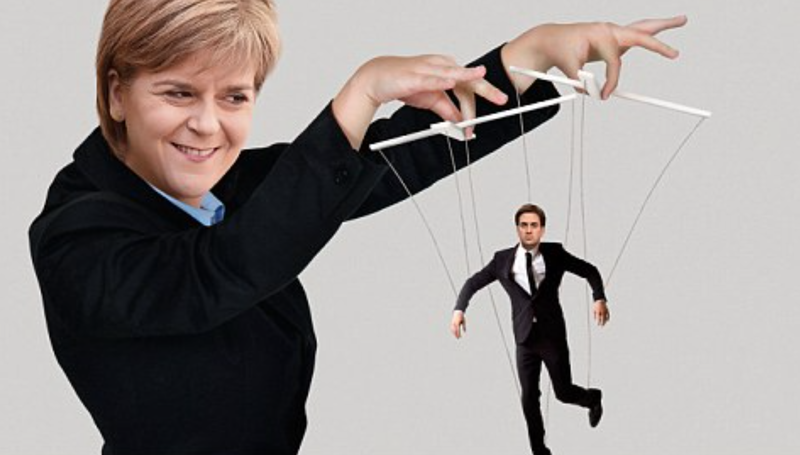 Yet the Sun’s laughable decision to back both the Tories and the SNP surely suggests the days when anyone paid attention to eve-of-election endorsements are coming to an end. 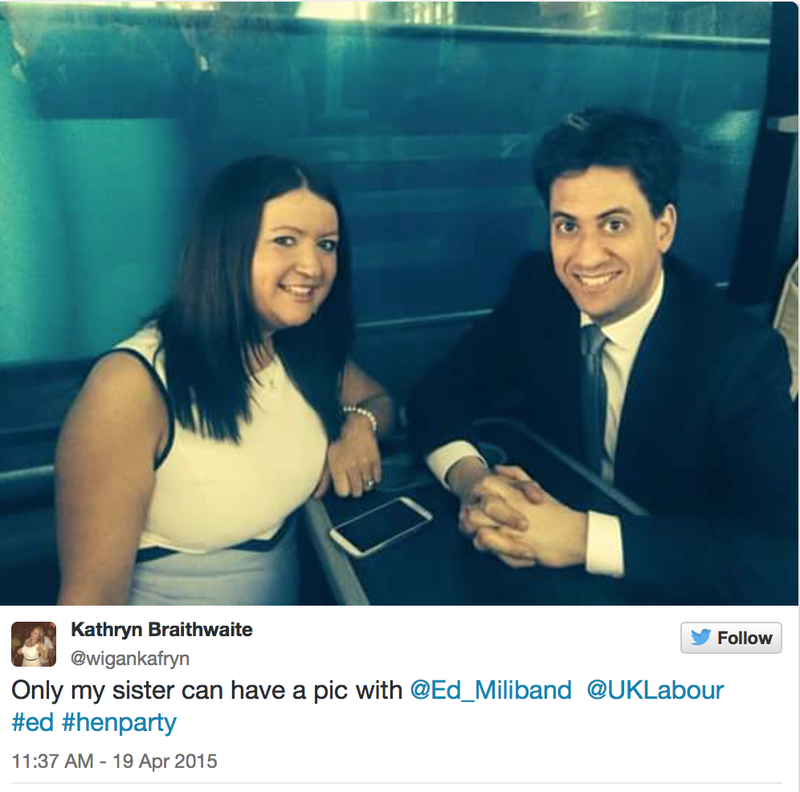 Election 2015: heading for Ed? 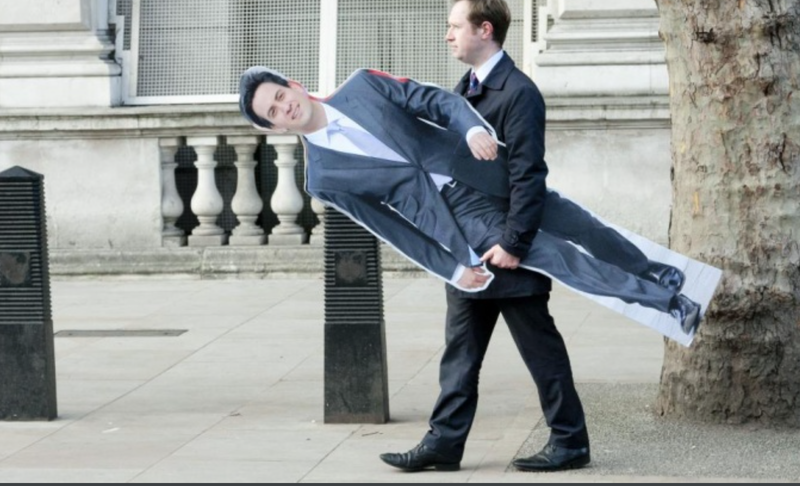 The Tories expected Ed Miliband to implode under the pressure of a general election campaign. Yet the opposite is happening. The Labour leader has grown in stature (even with hen parties – above) and popularity while the Conservatives have slipped as their campaign has tottered from disaster to misjudgement. 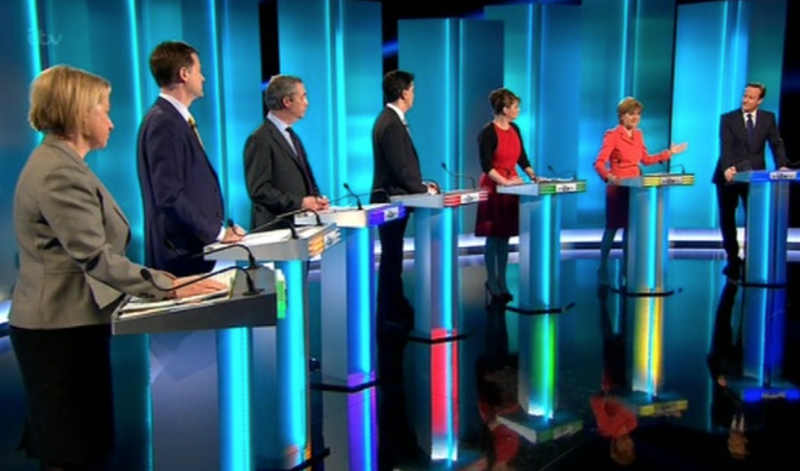 The 2010 #leadersdebate series electrified that election campaign. It was a first for a British general election. 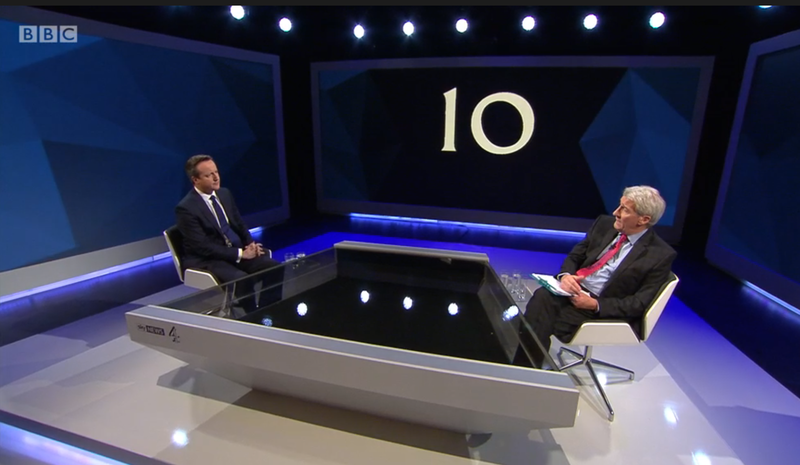 It made Nick Clegg famous, as Gordon Brown and David Cameron competed to agree with Nick. Tonight’s debate was very different. There were seven leaders crowding the stage. 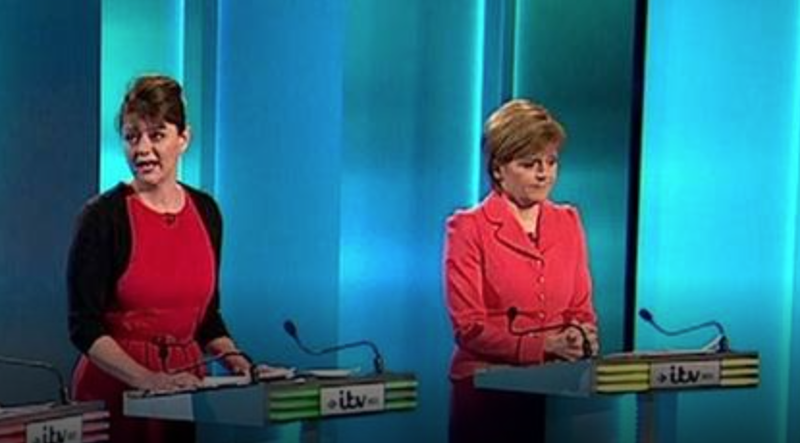 Refreshingly, three were women: the SNP’s Nicola Sturgeon; Plaid Cymru’s Leanne Wood and the Green Party’s Natalie Bennett. Most of us thought they won the day, with their good manners, willingness to listen and different approach. At one point the men got into a shouting match – showing they care nothing about voter disdain for such hooligan tactics. (Just as they’ve not changed PMQs.) And the three women weren’t English. Diversity in action. I cancelled my digital subscription to the Daily Telegraph today. A shame, because it’s one of my favourite news apps. But I’m not willing to pay £10 a month for what has become a general election propaganda sheet for the Conservative party. I’ll get enough of that for free through the letterbox. It’s living up to the Torygraph tag. Hold the front page: business leaders support the Tories. 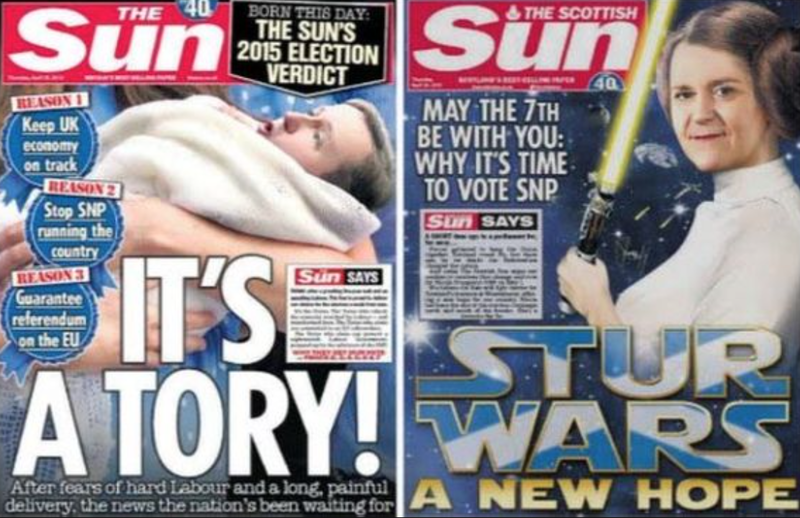 Every front page lead story for the past six days has attacked Labour or carried a pro-Tory message. Today’s reported that 100 business leaders think that Labour threatens the economy. The day after the BBC fired Jeremy Clarkson for assaulting his producer, it was good to see the other famous Jeremy back in action. 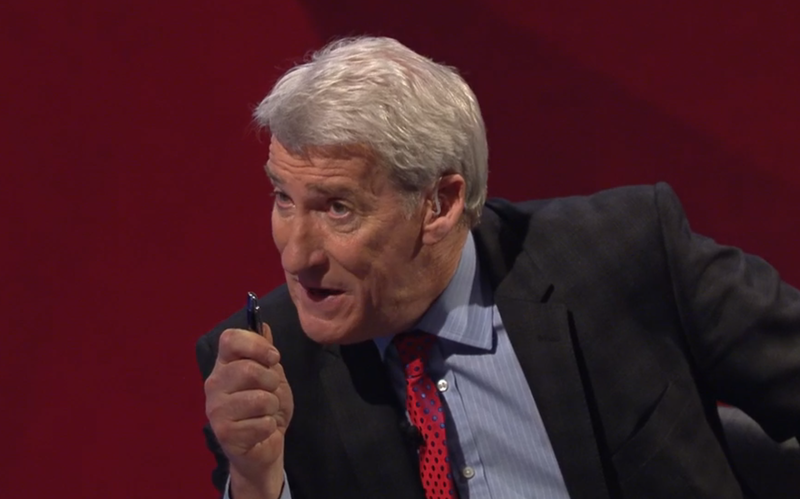 Former Newsnight presenter Paxman grilled David Cameron and Ed Miliband live in a pre-election debate.